The World Wildlife Fund in Canada monitors and assesses the watersheds in the country through their interactive tool – Watershed Reports. 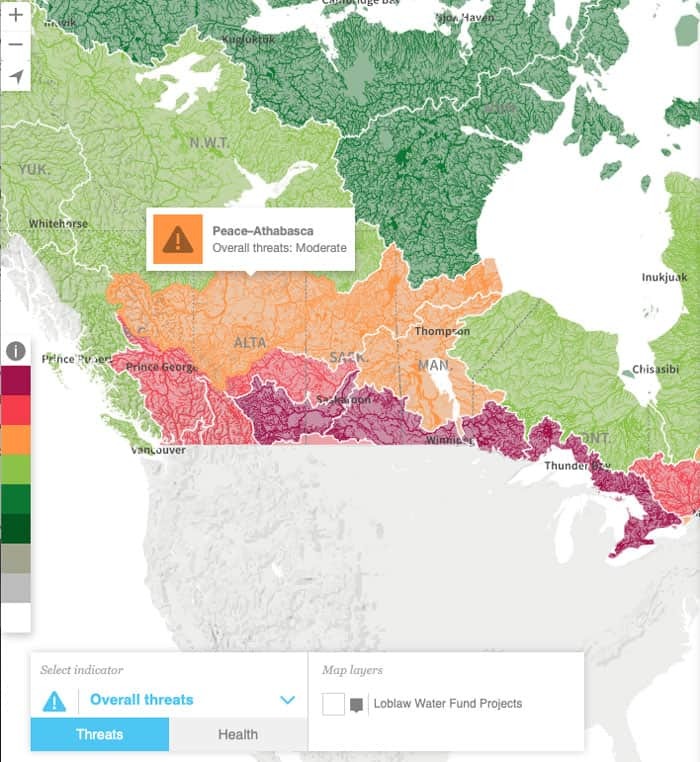 For the watersheds throughout the province, the interactive map displays the impacts of threats to the watershed. These threats include pollution, habitat loss and fragmentation, overuse of water, invasion species, alteration of water flows and climate change. Health is assessed with indicators including water flow, water quality, fish and invertebrates. The Watershed Reports include the main watersheds and the sub-watersheds. Data is updated on an ongoing basis.